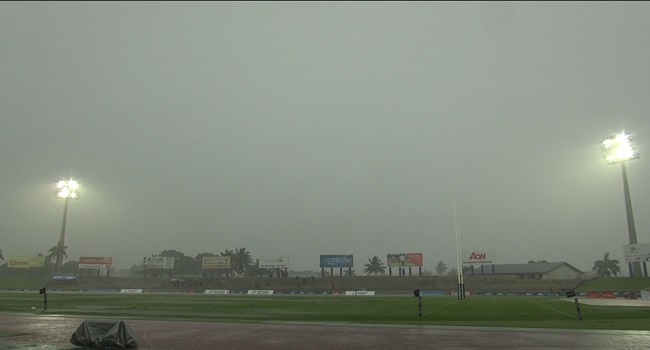 The Oceania 7s officials have stopped the games following the heavy down pour in Suva this afternoon. The mens qualification games, womens final and the mens semi-finals and final are yet to be played. The last set of games beings at 5.15pm and mens final will now kick off at 9.16pm while the womens final will be played at 9.36pm.